• Penetrate chi and sound vibration into your bones to build internal power and rooting. • Release internal knots with Unwinding, spontaneous movement. Wu Wei means "effortless effort"
• Allow the wisdom of energy to work its magic on you! Sound Healing with Tibetan bowls, chimes, percussion and other acoustic instruments by David Gyurkovics. Celebrate joyful connection with community! 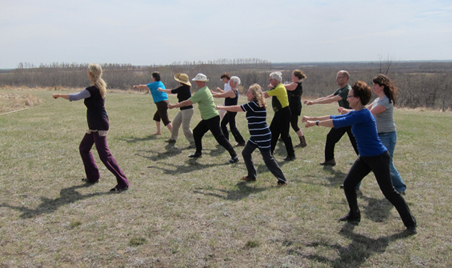 Qigong teaches us to stay centred and divinely connected as we move through life. • Inner Smile Meditation transforms the emotions through loving acceptance. • Microcosmic Orbit circulates and generates chithrough major energy pathways. 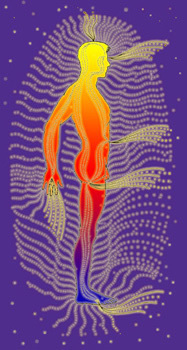 • Chi Self-Massage stimulates chi and blood circulation to rejuvenate the body. • Six Healing Sounds releases stress, toxins and imbalanced chi out of the organs. 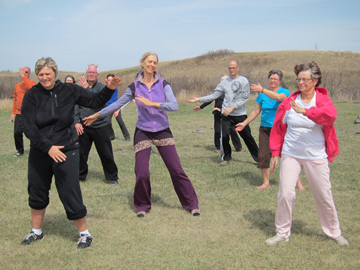 • Qigong (Chi Kung) directs chi through powerful breathing and flowing gestures. Qigong Credits for Acupuncture students. Meals are vegetarian and made with love by Dave Gyurkovics, an expert in cooking for retreats. We will start the retreat with dinner on Friday and end the retreat before dinner on Sunday. 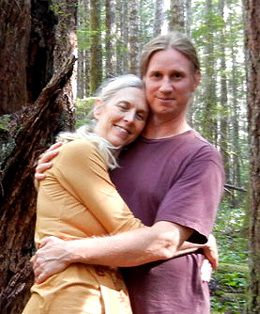 Minke de Vos teaches spiritual embodiment at Silent Ground Retreats, and is known as a top teacher of Qigong, self-healing and Kundalini Development. She has worked along side of Taoist Master Mantak Chia for over 25 years. 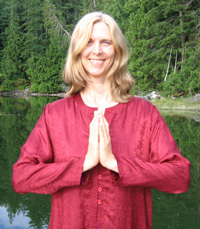 She inspires practitioners of all levels to live with loving presence. Author of "Heart Qigong", CDs & DVDs for home practice. David Gyurkovics Universal Tao Instructor, has studied and practiced Taoist internal arts for 18 years and has been teaching for 10 years. He is a practitioner of Medical Qigong and Acutonics Sound Healing. He teaches people how to breathe as the basis for healthy living. "People do not need experience with meditation or yoga. The Inner Smile will take them gently inside and the Chi Kung will move and loosen their bodyminds and open them to a new energy. I believe that when we cultivate our primal creative energy together we have the potential to create deeper connections with ourselves, our loved ones and our community."